The year is 21XX. A new threat arises, and Clash and Pistol v.2.0 are created to save humanity! The year is 20XX. 10 years have passed since the takeover of Warsaw Corporation by Johnny Warsaw and the disappearance of the brilliant scientist Dr. Photon. Photon's work was left hidden and forgotten far beneath Warsaw Tower in his lab, undisturbed to this day. But now his two greatest creations, a pair of robot 'siblings' named Clash and Pistol, have finally awoken. Clash, intended to be an engineer and scientist and to eventually replace Photon himself, has a strong sense of ethics and morals to guide her insatiable quest for progress and knowledge. 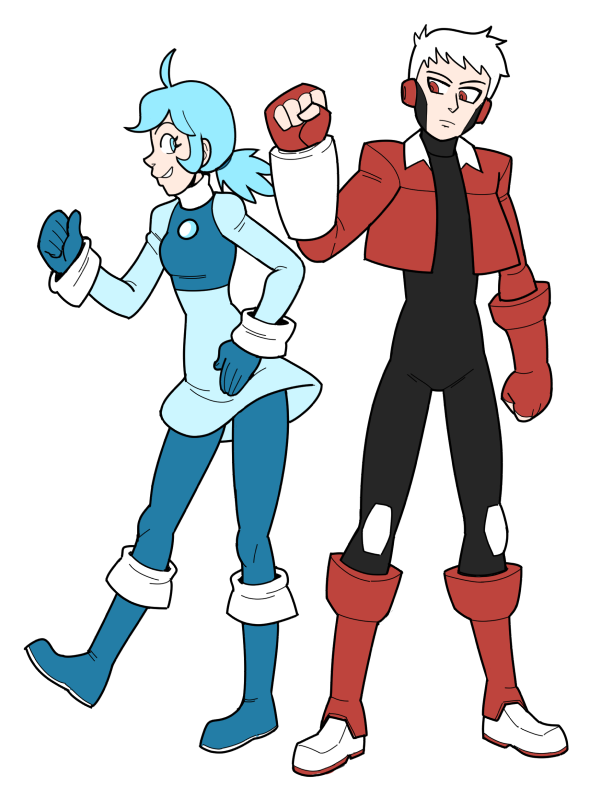 Pistol, intended to be a bodyguard and the ultimate weapon, is devoted in his entire being to protecting and serving his 'sister', though he otherwise lacks in personality and empathy.